I used to tell my addiction and recovery story often. For 20 years, I was an involved member of a 12-step fellowship, never a zealot, but committed to a path that had proven itself helpful to me in a few ways. I always enjoyed telling my story. I had an aptitude for it, a way of sharing my experience that simultaneously concretized my own understanding of my emotional process, as well as, I sincerely hope, being relatable and valuable to others with addiction problems of their own. But I was never a perfect fit for the 12-step paradigm, and it was not the only way in which I pursued personal growth during the time of my involvement. And after 20 years, after a lot of thought and discussion, I made the conscious decision to leave the Anonymous fold, and eventually to leave the traditional path of abstinence. But my story has continued, of course, untold for want of an appropriate venue. Hopefully this is one. I started using drugs as a young teenager. I have since become aware of the reasons that I took to intoxication so readily, but at the time I was unaware of just how profound an effect they were having on me. I thought they just felt good. The first drug I used was alcohol. I will never forget the emotional effect that that first small buzz provided me. At the time, my 11-year-old self would have described it as a deep sense of relief and well-being. I had no idea, however, that I was in an emotional state that required relief, or that a part of my being didn’t feel well. But through the experience of that substance-induced reprieve, I suddenly felt “normal.” My current self understands, now, that I was somewhat uptight at that age, that due to circumstances of both nature and nurture, I was psychologically and physiologically over-stimulated, hypervigilant, never quite at rest. Back to the night of that first drink, I remember assuming that the feeling created by the alcohol was now a part of me, that having visited it briefly that evening, the secret was mine to keep indefinitely. But like most transcendent experiences, it was a glimpse into truth that would have required insight and application to make lasting use of, and I applied neither of these tools to the experience, and so it faded away quickly. I started to use drugs regularly a couple of years later, adding daily cannabis (although cannabis, like psychedelics, never really brought me to the sweet spot to which I aspired), and heavy drinking whenever I could get away with it. I left home to live with a girlfriend when I was 16 years old which opened up the space, being away from my highly-functioning, caring and concerned parents, to start drinking alcohol daily—which I did. By the time I was 18, I was beginning to add cocaine and heroin to the mix, developing a serious heroin habit by 20. Eventually, and to make a very long story short, my all-out obsession with heroin quickly eroded what was left of my dwindling ability to function and I became homeless, feeding my habit through daily panhandling and some very petty theft. I was eventually arrested on a felony distribution charge and was looking at a mandatory two-year prison sentence. (The mandatory prison term was eventually dropped and I did not serve any time, but I was guilty on the felony distribution charge and put on supervised probation for two years). For the last three years of my addiction I tried to quit often. I started at treatment facilities while my health insurance allowed it (McLean and Bournewood Hospitals for those Bostonians in the crowd), as well as frequenting indigent detoxification centers all over the Boston area, every couple of months. But I did not stop. With each new attempt and failure at ceasing my heroin use, I felt more helpless and more certain that I would never return to a state of normal functioning. I can only write this next paragraph with the benefit of retrospect as I was unaware of this pattern until well into traditional recovery, but I had another addiction that proved as obsessive as heroin to me—that of romantic attachment. It’s hard to explain just how quickly and impenetrable my romantic love bonds used to be. I didn’t experience this intensity in every relationship, but when my emotional attachment wounds successfully found their complement in another, I became as connected and desperate within that relationship as I did within my bond to heroin. This fact is a window into the existence of layers of personal trauma that disrupted the creation of healthy attachment bonds early in my life. These wounds kept a deep part of my psyche crying out in desperation for connection, dying to be sated. And this is where the heart of both my addiction and my recovery would ultimately lie. I finally did clean up. My parents, who never gave up on me but were understandably tiring of the emotional (and financial) investment my addiction problems were presenting, gave me an opportunity to attend a proper 28-day treatment facility, but only on the provision that I be willing to travel across the country to do so. Eventually, I acquiesced, and for the first time I actually connected to a group of people I met in treatment, and even agreed to attend their affiliated halfway house upon graduation. The only problem was that it was a 12-step based program and I was not open to this approach. But as I had connected to some good people who did not share my strong resistance, I gave it a try. And something about the approach made a difference in ways that my previous lone attempts had not, and I began to recover. For the first time, I was utilizing a growth modality instead of simply trying to remove drugs from my life. I wasn’t able to explain this at the time, but 12-step involvement provided me with a connection to other people who had the same simple goals that I had, and, often, similar underlying emotional problems. The power that this identification had on me was profound and I started to voluntarily attend and participate in the 12-step process. After a year, I started attending school. As I had never finished high school, I started in a community college, transferring afterward to a university. After deciding to pursue a career in Psychology, I attended graduate school, completed an internship, sat for my board exams and eventually became a licensed psychotherapist in private practice (specializing in addiction, no less). Throughout this time, I also studied martial arts and yoga, finding each of these practices (especially yoga, which has become my main physical discipline) transformative in many important ways. But most importantly, after ten years of traditional abstinence, I finally addressed my attachment problems. At the time, I was reeling following a painful divorce and saw very clearly that to get to the next level of my personal growth, I would need to learn about the difficult way that I experienced love. The details of this process would take too long to describe properly, but suffice to say that the proper combination of readiness, awareness, and information converged to produce lasting results. And although I wasn’t to realize this at the time, and although it would be almost a decade before I would decide to leave 12-step recovery completely, this was the beginning of my growing away from it. I see clearly now that I benefited from 12-step involvement as a sort of way station. I needed the safety that it did provide, I needed the community through which to cater to my unrecognized attachment wounds, and I needed to see that it was possible to transcend my addiction to drugs. I also learned about the importance of being of service to others, which is a lesson I will apply to my life forever. But 12-step involvement didn’t heal my wounds, it simply allowed me to attach to others similarly wounded, and that created a feeling of identification, of no longer being alone. (I still maintain important friendships that began there). Then through emotional work I healed those wounds, and without meaning to I became a person that no longer related to the group that had once been the only place that felt like home. When I finally trusted myself enough to leave, I was overwhelmed. I love who I am without being a 12-step member, I love that I am no longer dependent on a particular community, and am free to move about the world unattended and self-regulated. I love that I can navigate my emotions without the fear of feeling alone, trusting that I carry within me the skills and strength to thrive. And traditional abstinence, too, worked as a necessary external structure. Abstinence gave me the space I needed to learn about myself and my relationship to my addictions. I used drugs to regulate myself—my emotions, my experience of life, and my physiology. Developing a relationship to traditional abstinence ensured that I not be distracted by powerful external influences that could have easily taken over my ability to learn to regulate myself. But after leaving the shelter of 12-step recovery for a few months, I began to question the absolute necessity of remaining abstinent. I also became aware of certain messages from my two decades of 12-step indoctrination that had found their way into the corners of my psyche, and I had to question them. I had developed a deep fear that the wonderful life I had built for myself was built on a sand foundation, that the smallest “slip” would inevitably cascade into an abyss of drug use and cause it to topple and fall. This involuntary belief manifested itself as an underlying neurotic fear that I decided to challenge. I wanted to trust my thoughts and feelings about incorporating moderate alcohol use into my life. And so I did. And it has been much easier than I expected it to be—at least in so far as the alcohol itself goes. I expected there to be more of a learning curve. I expected that I might overshoot the mark in the beginning, that I might have to teach myself to be satisfied with moderate amounts of alcohol in my body. But that has not been the case. The difficult part, in fact, has been the emotional impact, again, of those many years of 12-step messaging. I was even aware, in the beginning, of a small voice inside me that said I should play out the 12-step-relapse-scenario and devolve into the need to return to meetings again. That I should do this to honor the program, to show the other members that they are totally correct and on the One True Path. But luckily, by developing an awareness of these messages and the feelings they created, I have been able to avoid this scenario. And after a year and a half, the inner programming is finally starting to go away. I have long since stopped considering myself “an addict or alcoholic,” identifications that were originally given me against my will, but which I eventually embraced, serving me while I focused on that part of my growth. And although I have an addiction recovery story, I don’t personally identify as “in recovery” anymore. In conclusion, recovering from my addiction problems has been a process. I am disappointed that there weren’t more nuanced approaches available to me when I first needed help. I do stand as a man who has recovered from his addictions (well, no one is totally addiction free). I am also a man who is in the process of recovering from the recovery process, from a host of deeply-embedded erroneous statements about the causes and nature of addiction, and the cult-like psychological after-effects of having identified with a particular group for so long. But with the options available to me in 1995 when I attended my last treatment attempt, I understand why attending 12-step may have been the only viable option I had as a young man with little inward ability for healthy emotional navigation. My addiction story is ruled by two deep truths: first, that deciding to become a 12-step member was one of the best decisions I’ve ever made (given the options at the time, my age, and my level of emotional functioning). And second, deciding to leave 12-step membership was one of the best decisions I’ve ever made. I wish that it weren’t anathema within the 12-step paradigm to leave either for periods or forever, but I kind of get it. I benefited from the same rigidity within 12-step doctrine that eventually repelled me. I may have temporarily needed the rigidity to counteract the evermore rigid attachment I had to heroin and wanton intoxication. I needed the external structure offered by the 12-step program and traditional abstinence until I could incorporate my own version of structure, inwardly. I needed form until I could safely find formlessness. And while I would never fault or criticize anyone who makes a decision to remain in 12-step meetings forever, I think that all support groups are ultimately better utilized temporarily, (as non-12-step support groups usually are), and then moved away from with newfound strength. I hope that those reading this will realize that my story is as anecdotal as any other individual story and not proof that it’s safe to simply discard abstinence after a time. But I am convinced that the decision to trust myself has been immeasurably important, as was my decision not to trust myself for a while. I do wish, however, that I had moved on sooner, that I could have been introduced to addiction theories alternative to the disease theory (to which I have never adhered), earlier in my life. But I don’t get to go backward in life—only forward. And, ultimately, this is fine and life is truly good. Thank you for sharing your heartfelt exploration of your progress through abstinence-based recovery towards what is clearly an absence of need for the supportive structure the Twelve Step Fellowships provide, and, indeed, I can identify very closely, being that I am currently in my 23rd year of abstinence-based recovery after 30 years of chaotically-chronic active addiction, and it was my own choice that allowed me to embrace recovery, which I shared with others by way of Meeting attendance not less than once a week, and often more, although, in recent times, the emergence of vaping devices that people have started using while the Meeting is taking place – so are imbibing an addictive substance in what is supposed to be an abstinence-based environment – has left me disillusioned and am no longer attending Meetings, which is disappointing although does not compromise my recovery which comes from within myself. One observation I have though, Eric, is that it seems to me that since you have been able to return to drinking without the re-emergence of full-blown active addiction, it may be that you have been compromised by over-indulgent abuse rather than suffer the ‘disease’ of addiction since those who suffer the ‘disease’ of addiction require abstinence to keep the neuro-anatomical abnormalities triggered by the ingestion of psychoactive substances and/or behaviours that are the diagnostic criteria consistent with the disease and are not experienced by those who do not have such neurological dysregulation? My experience has been that many individuals who present for treatment for active addiction and are classified as suffering the ‘disease’ of addiction do not actually suffer the innate neurological dysregulation, rather, they simply experience the long-term toxic effects of the substances and destabilising behavioural effects of the various process addiction classifications. Those who do however, benefit enormously from the Twelve Step framework for both establishing themselves in abstinence-based Recovery and the maintenance thereof. Thank you for your thoughtful comment. To jump to the observation you have made, however, I will respond by saying that my ability to consume alcohol in moderation (assuming, of course, that it remains this way, and I have no evidence to expect that it won’t) is not an indication that I was not in as deep an experience with addiction as you or anyone else. That argument is an outdated one and part of 12-step ideology that I was escaping by leaving. Admittedly, I did not have years of physiological dependence to alcohol as I did with opiates, and I would not consider trying to use opiates in moderation. But I don’t think that this is evidence of not having the “disease.” I am very familiar with the disease theory and don’t agree with it as an accurate description of the addiction dilemma. our neuro-anatomy is capable of changing, over time, given the right care. (Marc Lewis describes this well in his books). To give another example that may shed light on the phenomenon more clearly, consider a person who quits smoking. He or she is not told that they have a disease which will make it impossible for them to partake in any mind-altering substance for the rest of their lives. It is expected that an ex-smoker will abstain from nicotine only, and not that their physiological dependence or addiction to nicotine will transform all mind-alternants into inevitably similar patterned use. 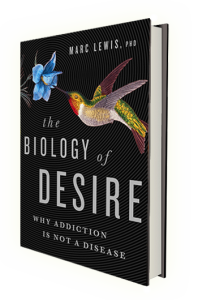 My hope is that over time, we will move away from the disease theory, without, of course ceasing to continue to study the effects that addiction has on the neurobiology of the user. While there are many important things that AA added to the conversation surrounding addiction in its early days, we have really shown that a lot of what is considered to be truth in the 12-step rooms, has not proven to be true except anecodtaly. Lastly, and this may well not pertain to you, I find that often those who do follow 12-step ideology often feel the need to fit my experience into an explanation that keeps their beliefs safely protected and unchallenged. Almost everyone outside of the 12-step sphere, those who have or have not had addiction problems themselves, understands how these habits may be changeable over time. Hopefully my response to your comment feels as respectful as I feel as I write it. No matter who is correct here, we are on the same side, kudos for your recovery. It’s always nice to have contact, thanks for being the first to comment on the memoir! And thanks for the dose of positivity, you are right of course, it takes the time it takes. This resonated for me. Alcohol was a problem from age 12 to age 35. I was able to quit after a big health issue brought on by behaviour and fleeing from shame. I have never attended a twelve step program for the reasons you note. Now I know more about how significant my attachment interruption up to my adoption at age 2.5 years is, I am working with developmental trauma understanding. I am now dealing with having to reorient myself emotionally as a result of discontinuing an SSRI for over 10 years. Anyone considering taking these drugs should do extensive research. NOt the 5 minute visit with a family doctor.